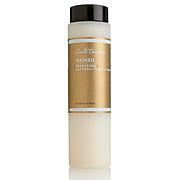 Carol's Daughter Coco Creme Intense Moisture Shampoo - 12 fl. oz. 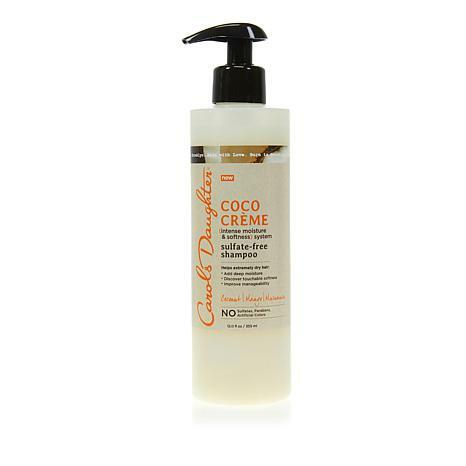 The deeply moisturizing Coco Creme system softens while it cleanses, giving extra dry hair an extreme moisture experience that you can truly feel and see. Gentle enough to use every day. CD COCO CREME SHAMPOO 12 fl. oz. Ingredients: Aqua/Water/Eau, Sodium Cocoyl Isethionate, Disodium Laureth Sulfosuccinate, Sodium Lauryl Sulfoacetate, Sodium Lauroyl Sarcosinate, Cocamidopropyl Betaine, Glycol Distearate, Parfum (Fragrance), Divinyldimethicone/Dimethicone Copolymer, Glycereth-26, Decyl Glucoside, Hydrogenated Coconut Acid, PPG-5-Ceteth-20, Polyquaternium-7, PEG-55 Propylene Glycol Oleate, Propylene Glycol, Sodium Chloride, Amodimethicone, Polyquaternium-10, Potassium Hydroxide, Sodium Isethionate, Carbomer, C11-15 Pareth-7, Benzoic Acid, Glycerin, Mangifera Indica (Mango) Seed Butter, Cocos Nucifera (Coconut) Oil, Astrocaryum Murumuru Seed Butter, Laureth-9, C12-13 Pareth-23, C12-13 Pareth-3, Trideceth-12, Benzyl Alcohol, Sodium Benzoate, Magnesium Nitrate, Phenoxyethanol, Linalool, Sodium Acetate, Salicylic Acid, Cocos Nucifera (Coconut Milk) Fruit Extract, Isopropyl Alcohol, Methylchloroisothiazolinone, Sorbic Acid, Magnesium Chloride, Methylisothiazolinone, Xanthan Gum, Potassium Sorbate, Tocopherol (Vitamin E), Citric Acid. Inspired by nature and the love of family, Lisa Price began by mixing essential oils and natural moisturizers and giving them as gifts to her friends. Since 1993, Carol’s Daughter—featuring products that are universal in appeal for women with diverse skin types, tones and needs—has grown into a wildly popular bath and beauty line. Whether you’re a busy mom, focused on your career or a devoted daughter like Lisa, this line is about you and your place in the world. Remind me about Carol's Daughter upcoming shows. Drybar Detox Dry Shampoo for Brunettes - 3.5 oz. Drybar Detox Dry Shampoo Original Scent 3.5 oz. Drybar Detox Whipped Dry Shampoo Foam 4.5 oz.